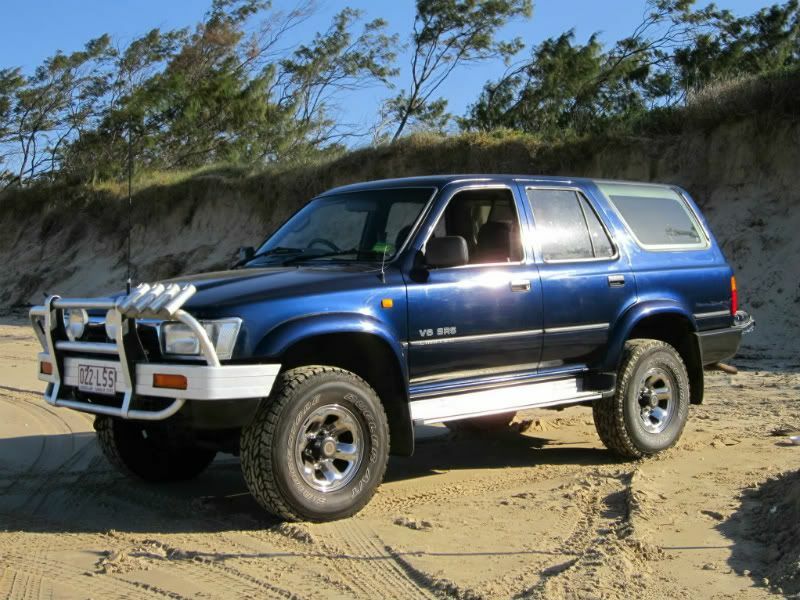 Married with a couple of kids and live in Nth Rocky and fairly new to 4wd'ing as only been doing it for about 18 months. Own a 91 4Runner that's pretty much standard and will possibly stay that way as thinking of upgrading in the future anyway, possibly a Patrol. Haven't ventured to far of road as yet just mainly the beach etc but looking forward to getting to know you guys and to pick your noggins on the ins and outs, rights and wrongs of 4wd,ind and hopefully one day even tag along if possible. Will post up a pic of the car later on. Welcome along mate!!! Feel free to pick away!! Cheers for the welcome guys. OuterControl 4x4 :: Forum Index :: Introductions!